Back in my late teens and early 20's, when you could still buy albums on vinyl, rent a movie at a real video store, and Johnny Carson was still on TV, I worked at a local grocery store to help put myself through college. It was an independent store that catered to a higher end clientele. More specifically, we catered to the Jewish community in the area. I loved when the high holidays rolled around: fresh hamantaschen, challah, and store made brisket that made your mouth water. That just scratches the surface of the tasty treats available. Since it was a higher end store, we carried some higher end products. One of those products was a clam dip made by Breakstones. Very good stuff. I would treat myself from time to time with a tub of that and a bag of chips. Ever since I left that job and moved on I have always looked for that dip in every grocery store that I have shopped. I have never been lucky enough to have found it anywhere. While I was walking through the local Big Bird this past weekend, I noticed that clams were on sale. So, with 25 year old memories in mind, I grabbed some clams and headed home to the labs to see if I couldn't whip up something that came close. 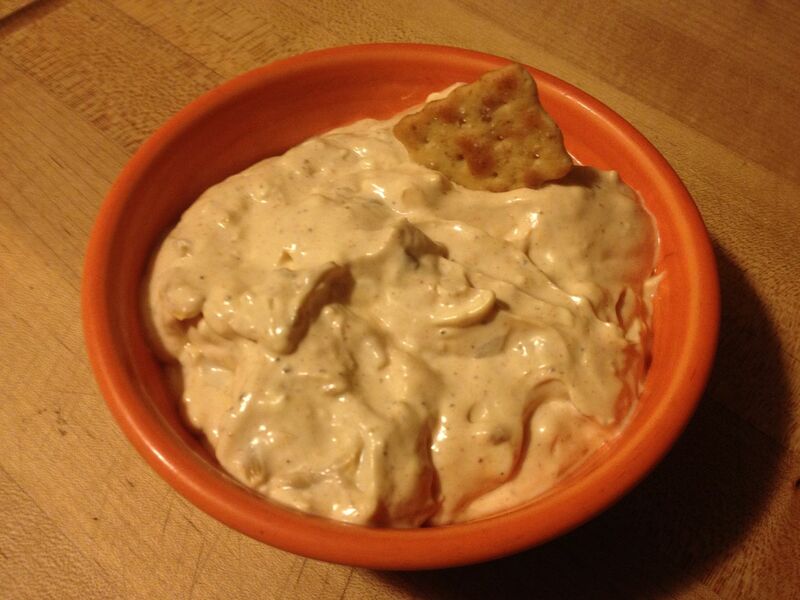 I also use this base to make my Smoked Steelhead dip, but that is a post for another day. I digress. I placed my cream cheese in a bowl to soften (note, low fat takes longer to soften on the counter, so plan accordingly) and went outside to fire up my smoker. My set temperature was 250 F. I came back inside and washed my clams, I bought the Big Neck variety, and placed them in a foil pan. When the smoker was at temperature, I placed some alder in the ash pan for some smoke flavor, then I placed the clams on the middle rack of my smoker. After about 20 minutes the clams were starting to peek open and release their briny liquid. I decided to go for 45 minutes of total smoke time. Here is the pan after removing from the smoker. I drained the liquid and set aside, then Hope and I started to break apart the clams. They were very resistant to our efforts. I made a mental note to cook for 1 hour the next time. Once the meat was removed, I minced the clams. Not fine chunks, not large chunks, somewhere in between. This picture is before mincing. The meat from 10 Big Neck clams. I would probably use 15 next time. 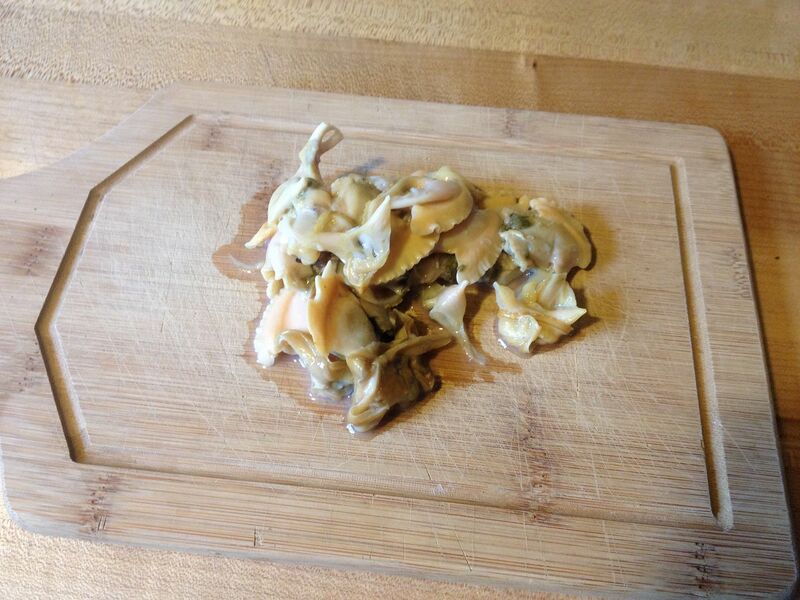 I added to clam juice for some smoky and salty flavor. I also wanted the chilled dip to be think, yet not break a chip or a cracker when being scooped from the bowl. I used the Oakridge rub because it contains some of the flavors I was thinking of adding anyway: chili pepper, coriander, onion, garlic, and yellow mustard. Hey, this is an experiment, right? I tried it first. My, my. Not the same as Breakstones, but even better. A hint of smoke, salty brine, a bit of kick from the rub, a very nice combination of flavors. Hope was up next and tried some on a cracker. Sometimes she is polite about my creations and I know when she doesn't like what I have made. But, the eyes gave it away this time. A home run! 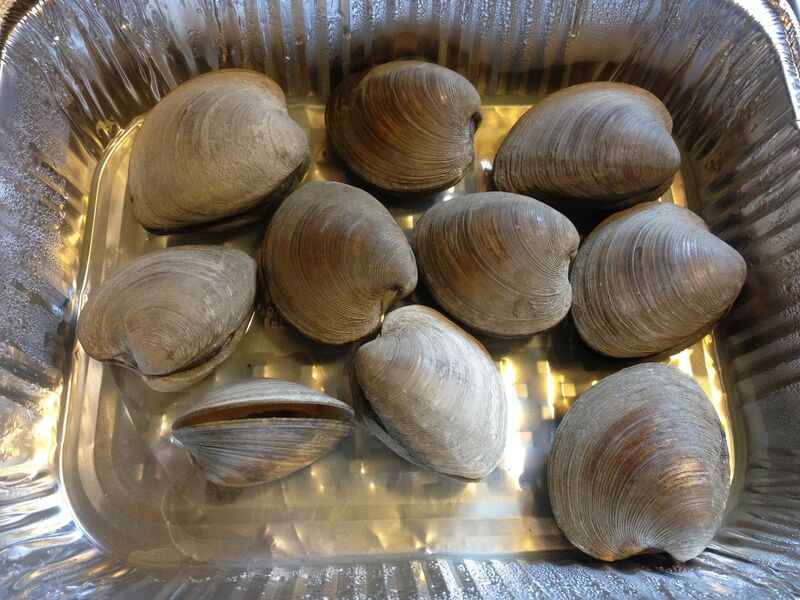 As always, you do not need a smoker to make your clams. 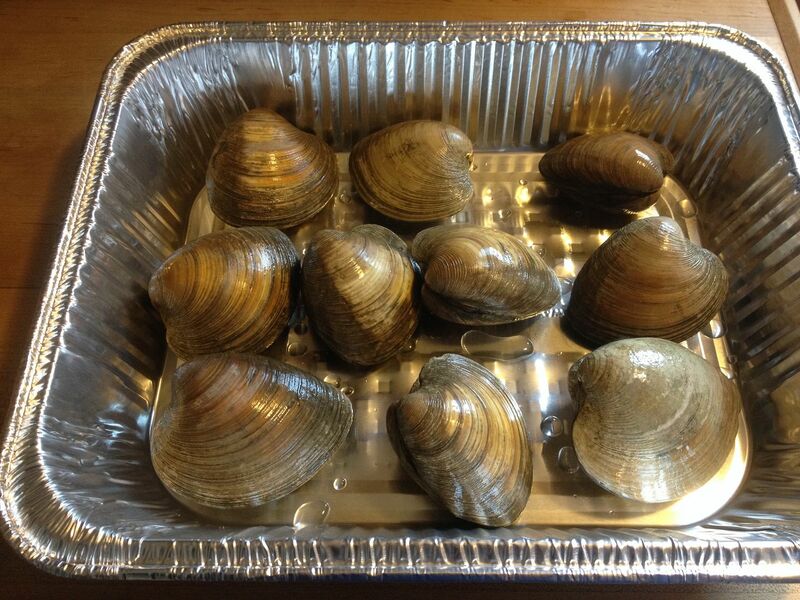 Just lightly steam them and you will have the same cooked clam and brine, minus the smoke flavor. If you happen to have some Liquid Smoke around, I would start with 1/8 tsp and add to taste. This dip will go well with chips, crackers, or cut up vegetables. Give this dip a try. You will not be disappointed. I am all out now Chilebrown. Time to make more! Greatwhite Hunter, it is an honor and a privlege to have you frequent our humble site. I hope the recipe works out for you. It was very good indeed. Please let me know how it works out for you. Happy New Year!